You are here: Home / writing / How Do Some Discussions on Media Ethics Sound? 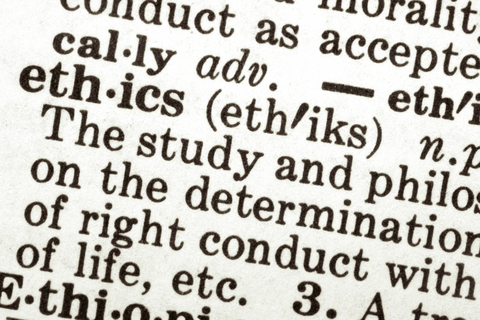 How Do Some Discussions on Media Ethics Sound? So I was thinking of doing some blogging on Society of Professional Journalists (SPJ) Code of Ethics in the world of changing media; maybe get some discussion going on some of the challenges writers face, brainstorm solutions, look at non-examples, and so on. I’d be interested in hearing from non-writers as well. How do you see media coverage and what examples of unethical behavior do you see? What are some of the reasons for it? What is due to legitimate time constraints or other reasons, and what is due to laziness or perhaps ignorance? Before I get started with this task, I wanted to make sure there’s people on this blog (and on facebook) who are interested in participating in discussion. I’m not going to make you commit to responding to every post (as there will be many), but just want to make sure that I’m not standing on a soapbox in the shower, listening to my own echoes.